Over at 901am, I’ve been covering some hot news about the Apple iPad which as you all know by now is about to be released on April 3. Lately, the iPad has been getting some news mileage with emphasis mostly on how good the iPad would be as an e-book reader. Yes, that’s despite the fact that it was not made solely for the purpose of reading e-books. But then, it’s inevitable especially since Apple is also prepping up its own e-bookstore of sorts, the iBookstore app. Once the iPads land on the hands of those who pre-ordered since two weeks ago, I’m pretty sure e-book distributors will start pouring in. So, if you’re Sony who has an e-book reader which is not really doing well, what would be your best move to compete with the likes of the iPad and Kindle? Of course, reduce the price of your e-book reader to make it more competitive. 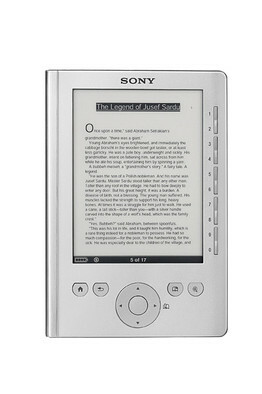 And that’s what Sony just did – lowered the price of its basic e-book reader the Sony Pocket Reader from $199 to $169. That puts the Pocket Reader at $90 cheaper than the least expensive model of the Kindle. And of course way cheaper than the iPad which is currently selling for $499 for the cheapest version. Actually this was predicted by Forrester analyst James McQuivey – that is single purpose e-reader device such as the Pocket Reader will have a price drop of as low as $99 by next year. This is to make these device competitive enough against multi-purpose devices such as the iPad. 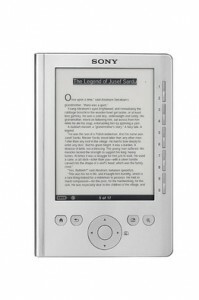 So, are you most likely to get the Sony Pocket Reader instead of the iPad or Kindle now?